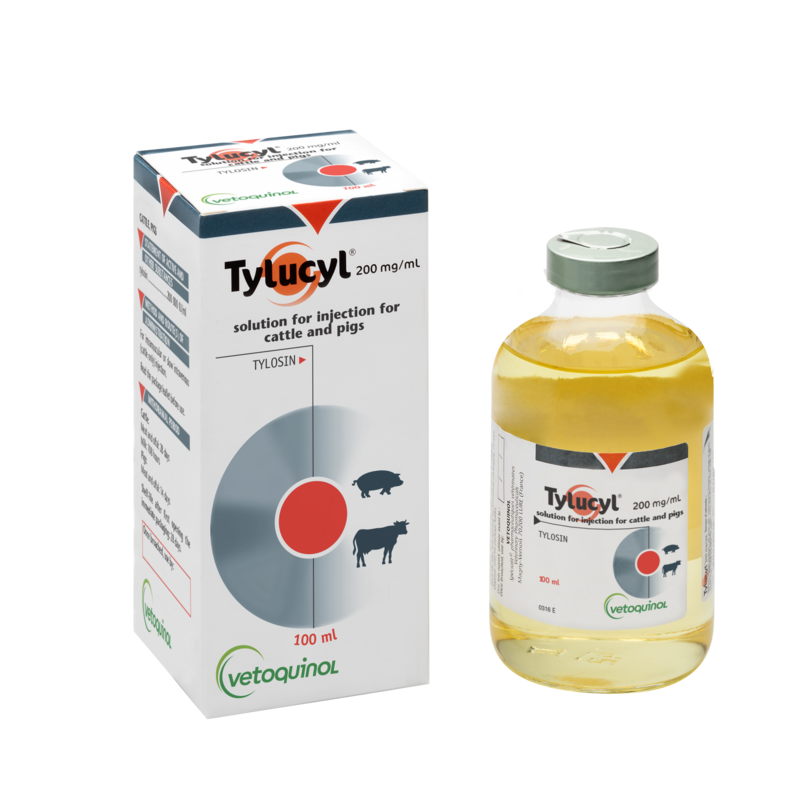 Tylucyl is an injectable treatment of specific infectious conditions caused by microorganisms susceptible to tylosin in cattle, calves or pigs. In cattle it is to be used for the treatment of mastitis caused by Streptococcus spp. Staphylococcus spp. or Mycoplasma spp., respiratory infections and metritis caused by Gram-positive microorganisms. As well as for the treatment of acute interdigital necrobacillosis (panaritium, foot rot). In calves it is to be used for the treatment of respiratory infections and necrobacillosis. In pigs more than 25kg, it is to be for the treatment of Enzootic pneumonia, haemorrhagic enteritis, erysipelas and metritis. As well as arthritis caused by Mycoplasma spp. And Staphylococcus spp. Tylucyl is a POM-V product. It is available in 200ml.